Tesco Bank has increased the rate on its easy access account, which now pays 1.16% yearly, including a bonus of 0.41% for 12 months. Savers can invest from £1 but any balance over £1 million will be subject to a lower rate of 0.75%. Withdrawals can be made at any time but a daily withdrawal limit of £10,000 is in operation to non-Tesco Bank accounts, while a higher limit of £100,000 is given for withdrawals to Tesco Bank accounts in the saver’s own name. This deal is for savers aged 18 and over and must be operated online. This rate rise from Tesco Bank enhances the appeal of its Internet Saver at a time when other savings rates are falling. Anyone looking to start saving and have instant access to their cash will find this deal highly competitive, and it rests comfortably in the Moneyfacts Best Buys for bonus accounts as a result. Britannia has increased rates across its fixed bonds, with its one-year fixed rate bond now paying 1.50% on maturity or 1.48% monthly. Savers can invest from £1,000. Neither earlier access nor further additions are permitted. This deal is for all savers and can be operated in branch and by post. The one-year fixed rate bond from Britannia has been boosted by a massive rate rise of 0.30% which means it is likely to appeal to those looking for a familiar brand over the short term. Savers may also be pleased with the monthly interest option, particularly if they want to supplement their income. Leek United Building Society has launched a new five-year fixed rate mortgage, which is now priced at 2.25% to 31.8.21. This deal is for all applicants who borrow between £30,000 and £600,000 at 75% loan-to-value. A fee of £995 is payable, of which £895 can be added to the advance of the mortgage. This deal has the flexibility to make overpayments of up to 10% of the outstanding balance. Borrowers eager to fix their mortgage over the longer term will find this latest deal from Leek United Building Society highly appealing. Priced at 2.25%, this five-year fixed rate sits comfortably in the Moneyfacts Best Buys thanks to its reasonable fee and low rate. Leek United Building Society’s lending area does not include Scotland. Post Office Money has dropped the rate on its two-year fixed rate mortgage, which is now priced at 2.08% to 31.5.18. This deal is for all applicants who borrow a minimum of £25,001 at 80% loan-to-value. There is no application fee payable, and an incentive package of free valuation for all borrowers and free legal fees for remortgagors is also available. This deal has the flexibility to make overpayments of up to 10% of the outstanding balance. 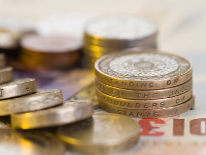 This latest price cut by Post Office Money results in its two-year fixed rate falling by 0.20%, which makes it more competitively priced for borrowers with a 20% deposit. With no upfront fee to pay, a free valuation for all borrowers and free legal fees for those remortgaging, this is likely to attract borrowers looking to keep upfront costs to a minimum. Ikano Bank has amended the rates on select tiers of its unsecured personal loan. Customers can now apply for a highly competitive loan of £7,500 to £15,000 a term of one to five years at a rate of 3.2% APR, the lowest rate currently available at this tier. Applicants must be at least 18 and have a minimum household income of £10,000 per annum. Applications must be made online. Ikano Bank’s latest rate cut to its unsecured personal loan results in a well deserved ‘outstanding’ Moneyfacts rating and a place at the top of the personal loan Moneyfacts Best Buys over the £7,500 to £15,000 tier. This market-leading deal is likely to be seen as an ideal choice for anyone looking to consolidate their debts. Virgin Money has extended the 0% introductory balance transfer offer on its credit card to a market-leading 40-months with an introductory fee of 2.59%. Purchases are also interest-free for three months. After the deals end, transfers will be charged at 18.9% per annum while standard purchases will be charged at 18.9% APR. Applicants must be at least 18 and apply online or by telephone. The offer is only available until 25 May. Virgin Money propels itself to the top of the Moneyfacts Best Buy table for interest-free balance transfers by offering a 40-month deal. This card fully deserves its ‘outstanding’ Moneyfacts rating and will be a great choice for those looking to spread their debt across the longer term to focus on clearing the balance.